I’m thrilled it’s spring! I was gone for two weeks in March and when I got home, my outdoor arena had totally thawed and Rich had freshly groomed it for me, in honor of my return from a long hard trip. It was long because I had contracted a nasty cold on the first leg of the trip, and it was hard because it included shooting video outside during the infamous “bomb cyclone.” The storm came fast (at 8 am) and it was a full-blown blizzard within the hour. I was at Harmony Equine Center, an impound facility for Colorado law enforcement, funded by the Denver Dumb Friends League. I was in the pen with Garret Leonard, the manager, and 12 pregnant mares that had been confiscated and surrendered to HEC, due to starvation. Even while the rain turned to snow and the winds began to howl, they kept their heads buried in the hay feeders. I’m pretty sure I will never forget that scene, plus the harrowing drive back to Denver right before the highways closed for two days. But now there are clear signs of Spring—I’ve taken a few wild rides on my now three-year-old colt, Pepperoni. Let’s just say he was “exuberant” about riding outdoors, after making circles in the indoor all winter. The flower beds are starting to wake up and the days are warm enough to spend some time on the lake—these are the things I do when I am not traveling. This month I’m headed to Columbus, OH for Equine Affaire, April 11-14; and to St. Paul for the MN Horse Expo, April 19-21. For details on horse expos and clinics, please visit juliegoodnight.com/schedule. Ready to Get Started on Your Riding Goals? Spring is almost upon us, and my team and I are getting ready to tackle our goals for this year in earnest! 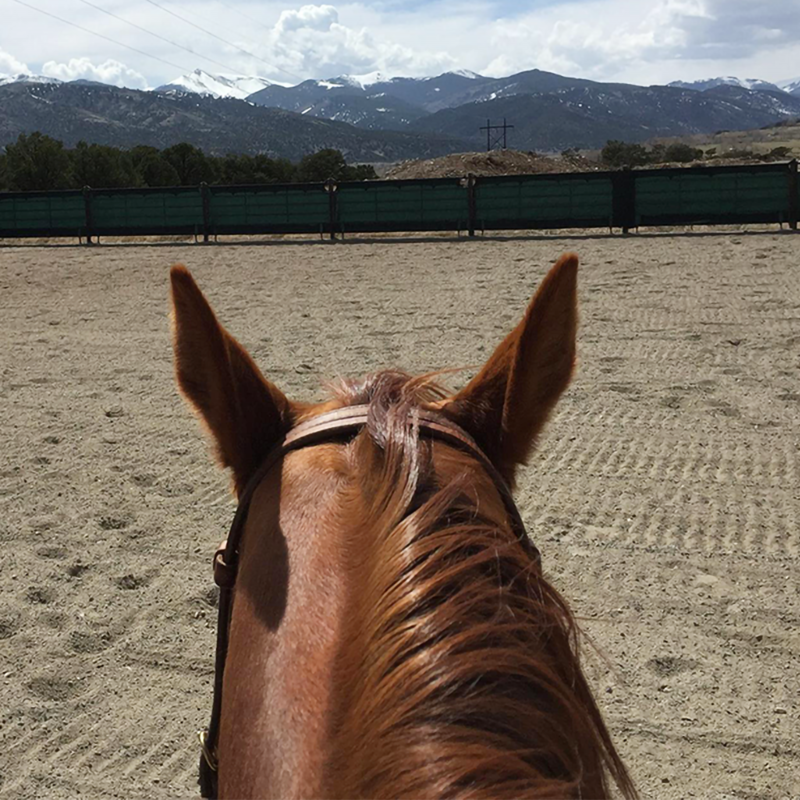 It’s easy to set the goal and promise yourself that you’re going to work with your horse X days a week, or practice really hard to get ready for a big ride or competition. But it can be really hard to actually START—whether it’s Day 1 or Day 25. Life happens—we get busy, things come up, and we excuse away making ourselves and our horses a priority. If you need a little extra encouragement and support to meet your goals, join my new #HorseGoals Or Bust Facebook Group! This is a community where you can come to share your goals and updates, find support through frustrations and set-backs, be a cheerleaders for others, and celebrate accomplishments. See you there!